Apple Launches P2P Payments Featuring Own Digital Payment Card; Should Banks Worry? | NFC Times – Near Field Communication and all contactless technology. 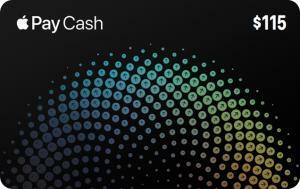 The Apple Pay Cash card will enable P2P users to spend their balances in stores and online using the Discover Network. Will Apple further enhance the card? Other P2P services, including Square Cash, Venmo and PayPal, have rolled out or are testing their own cards to enable users to spend their balances, but the cards are not considered a major factor in the success of these services. Will Apple Pay Cash be different? The Apple Pay Cash card uses the Discover Network acceptance footprint, so it can be tapped in stores in the U.S. at pretty much all locations that Visa payWave and Mastercard Contactless are accepted in the U.S., but international acceptance will be extremely limited abroad for U.S.-based users. Article has about 1670 words.